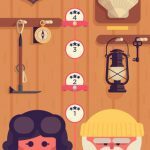 This is the fifth part in our TwoDots walkthrough series and we’re now down to levels 21 to 25, where things get even harder than they did, even if many of the old strategies remain useful even at this point. 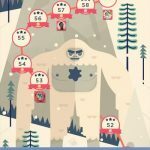 The following TwoDots cheats could be pretty useful if you got stuck in the game. This is another anchor-dropping round, like Levels 18 to 20, but the twist here is that the board has two triangles flanking the lower-middle portion of the board, and two rows of three dots at the bottom portion. Your best plan here would be to aim to drop the anchors down the middle three columns. In here, creating bombs (square around a dot) are especially important, and the more bombs you create, the faster you’ll be able to clear the board and make way for those anchors to drop. But when creating a bomb isn’t possible, that’s when you can stick to the old practice of making squares. Think about it – that’s three moves per anchor you have to drop. That makes each move extremely important, and in addition to that, only some of the anchors will be on the board when you start up the level. With each move paramount to your success in this level, you’ll want to create boxes below the anchors, though color wouldn’t matter as this is purely an anchor-dropping level. Bombs, once again, will be very useful; as a reminder, these are 3 x 3 squares of one color, with a dot inside the square. We’re back to good old dot-clearing in this level, though the board still has triangle blockers, including one in the center of the board. That blocker will make it hard for you to make squares, but if you can, make them as large as possible, and aim for the dots above the center blocker. 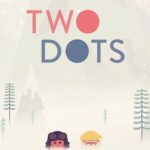 Combinations of two or three dots should only be used if you’re completely stuck – they won’t be of much help considering you have 88 dots to clear. That sounds like a fairly easy task – four anchors dropped in 30 moves – but the strange shape of the board makes this level deceptively tough. Here you should be trying to move the anchors down the middle two columns, due to the triangle blockers on the sides. Squares, boxes, and bombs will, as they’ve always been, help you out here, but the best move would be to create squares on the bottom to create a ripple effect, or try working above the blockers, as long as you’re still trying to clear dots below the anchors. The board shapes get stranger here, and you’ll again see a central triangular blocker, this time resting underneath two dots, so you’ll be doing most of the work in the three left-side and three right-side columns. Boxes and bombs will be your quickest ways to ace this level, but the slanted surfaces may make it a bit tough for you to figure out how the dots would appear on the board.